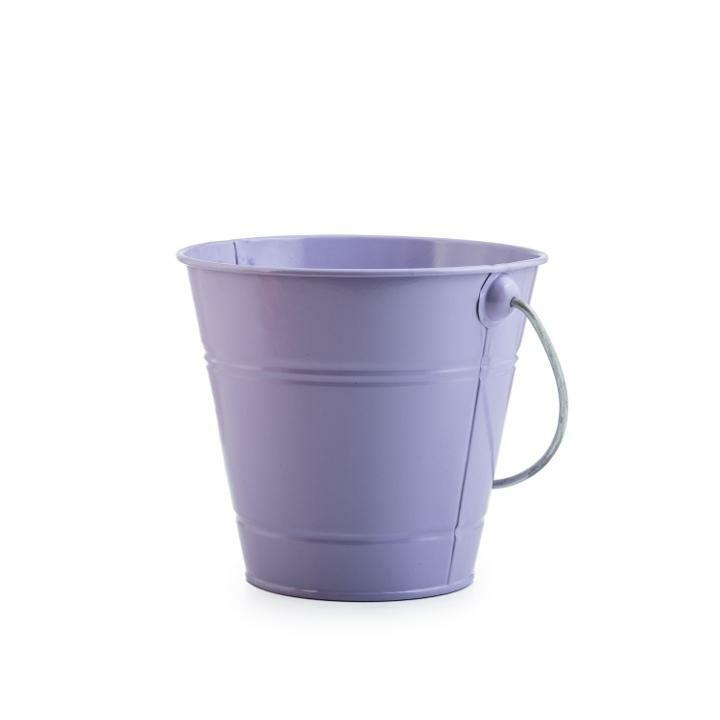 This Decorative Metal Bucket (Solid)-Lavender is great for many varieties of uses! It can be used as a centerpiece, you can fill the bucket with gifts or candy, you can use it as a table decoration! Each red metal bucket comes with an attached metal carrying handle which also allows these buckets to be used as balloon weights. Each bucket measures 5 1/2" in diameter and stands an impressive 6" tall!